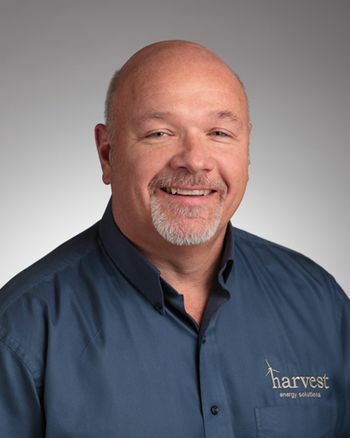 At Harvest Energy Solutions, we ensure that everything from design and installation to the solar installation, and all elements involved in the process are top notch. Solar energy solutions for commercial, industrial and agricultural use. In 2006, Harvest Energy Solutions was founded with our first venture in wind energy with installations throughout the Midwest. 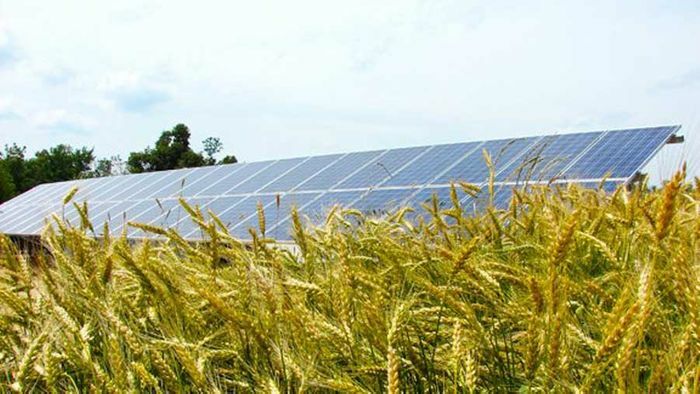 As the price of solar components continued to drop, the viability of solar energy became more attractive and practical to our agricultural and commercial customers. Harvest Energy is a Michigan - based solar energy company, serving over 11 states throughout the Midwest United States. Our full service solar products are top notch and carry a 30 year warranty. Bonded, licensed and insured in 11 States served: AR, IA, IN, IL, KY, MI, MN, MO, OH, TN, WI. In-house designers, engineers, installers, licensed electrician and solar technicians with over 100 years of combined experience. North American Board of Certified Energy Practioners (NABCEP) Certified Sales Professionals & Installers. We work closely with grant writers and local utility companies to get you the best incentives available. Low interest with no interruptions to other lines of credit (Independent financial services available). Family owned and operated. Harvest Energy Solutions provides full design and installation of solar energy and wind energy systems in Michigan, Illinois, Indiana, Iowa, Kentucky, Minnesota, Missouri, Ohio, Tennessee, Wisconsin and now in Arkansas. We specialize in agricultural, commercial and rural residential installations. Over the past several years we have had conversations with thousands of farmers and ranchers that expressed concern and frustration over the skyrocketing cost of energy and the volatile supply in real times of need. As a result, many of us are taking steps toward energy conservation and are considering alternative and renewable options with the ultimate goal of energy independence and sustainability right on our own farms. What if you could cut your electric bill in half? Or come up with a practical way to produce your own electricity when and where you need it? What if you could lock in the cost of electricity at a dramatically reduced rate providing a real hedge against inflation for decades to come? At Harvest Energy Solutions, we decided to take on this challenge. We offer the most energy efficient, American made products to the agricultural industry and continue to add more. Our products offer a great return on investment and are designed for rugged, agricultural applications. Finding solar energy or wind energy solutions that meet your energy needs in MI, IN, IL, OH, MO, IA, KY, TN, MN, WI and AR – what the agricultural industry needs and what we do best.